Stopped by my local Target today and picked up a few things since a lot of Hasbro brands were on sale. 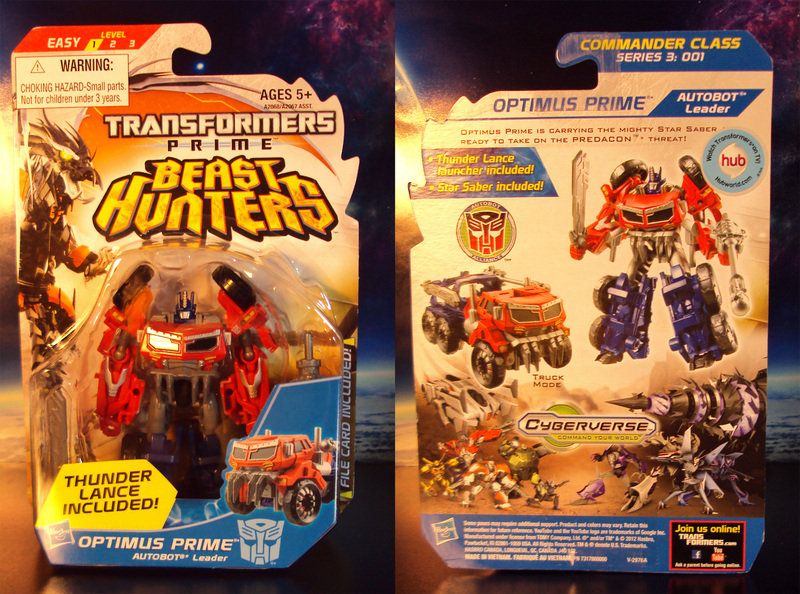 First up some Transformers Prime Cyberverse figures. 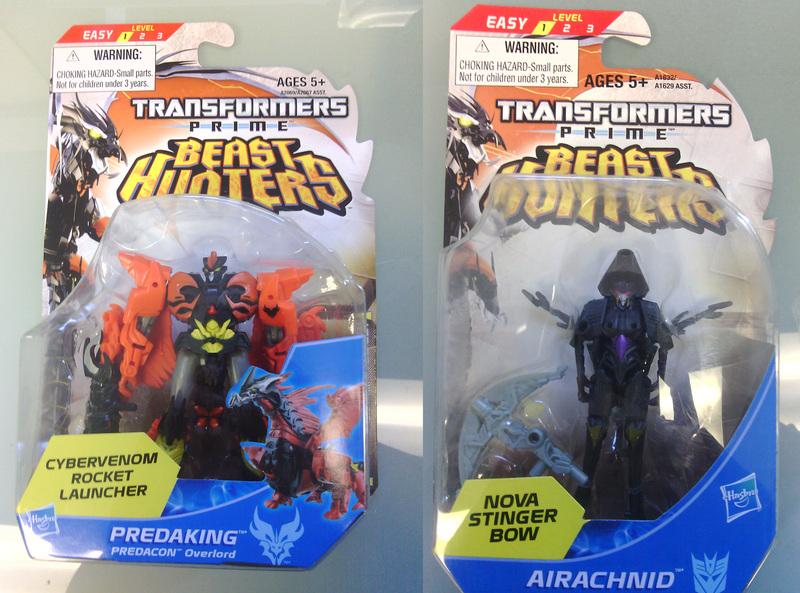 Found new bulkier Optimus Prime, Predaking, and Airachnid. Picked up some G.I Joe Retaliation movie figures. Roadblock has an awesome head sculpt of the Rock and some really cool weapon accessories. This line is heavy with various types of ninjas and the Cyber ninja has got to be one of the top ones. Don’t know if he shows up in the movie (haven’t seen it yet) but he has a really cool design and color scheme. 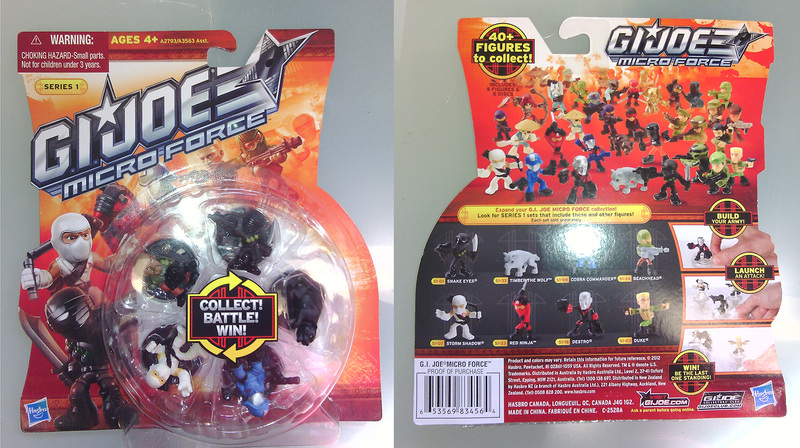 And just for fun, nabbed a 5 figure set of the Micro Force series. They’re rubber based figures and have a fun sculpt. 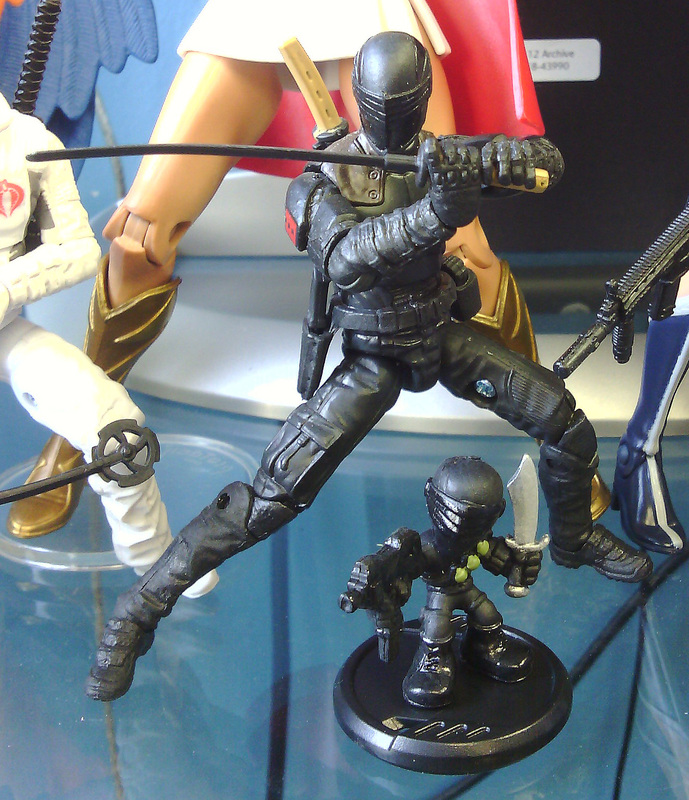 Here’s the Mirco Force next to the Retaliation Movie Snake Eyes for a size comparison. This Snake Eyes is one amazing looking action figure from Hasbro. Part of Wave 2 of the G.I. Joe Retaliation Action Figure line, this ninja includes a variety of weapons: 2 swords, 2 knives (I’m missing one), handgun, and sword holders. Very pose-able so putting Snake Eyes in some ninja-like poses is pretty easy. Sports a movie accurate head sculpt, possibly the best head sculpt of Snake Eyes ever (my opinion). *Due to G.I. 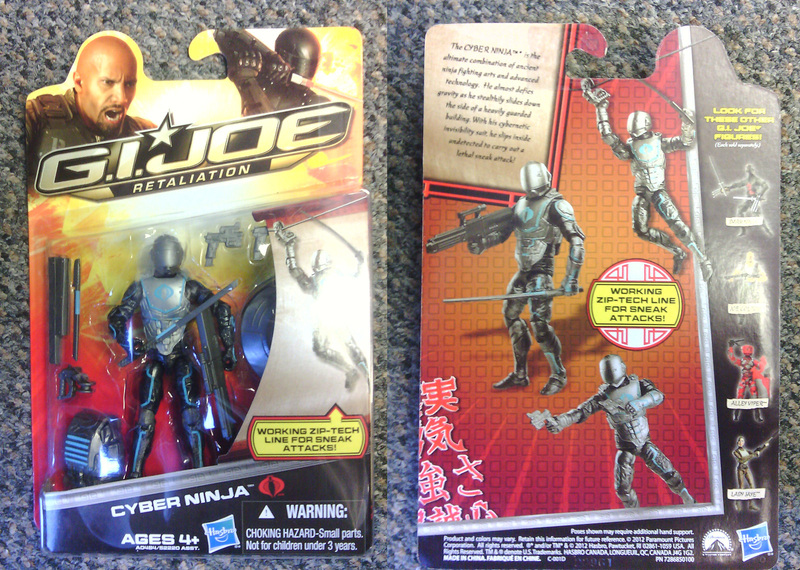 Joe Retaliation Movie being pushed back to March 2012, Hasbro is holding off in releasing any wave 2 figures in the US until that time. Overseas toy dealers were able to get this figure before Hasbro’s announcement so this figure is out there. I was able to get this through a friend. Good luck finding it. Try eBay. As May 2012 comes to a close, probably the most productive video review month I’ll have for awhile, we covered very interesting variety of action figures. Check out the May 2012 posting on the side bar to view them. The next big thing coming is San Diego Comic-Con 2012. I’ll be heading down mid July for the whole sha-bang and expect to come back with exclusives. 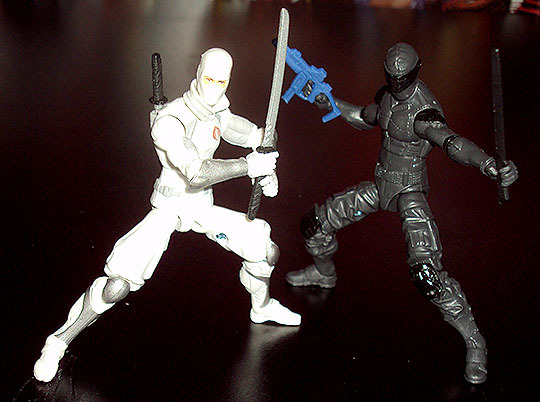 I recently picked the Storm Shadow and Snake Eyes from the 1st wave of G.I. 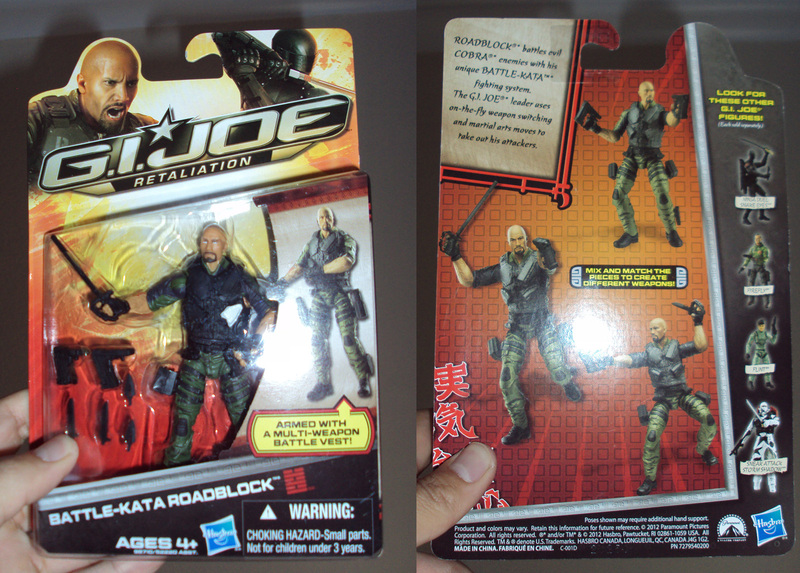 Joe Retaliation Movie action figures. Seeing as this only wave going to be released this year due to the movie being pushed back to March 2012, I wanted to snag these as fast as I could. Storm Shadow really impressed me with his design and weaponry. Snake Eyes not so much. Uploading as I type: Bandai’s S.H. 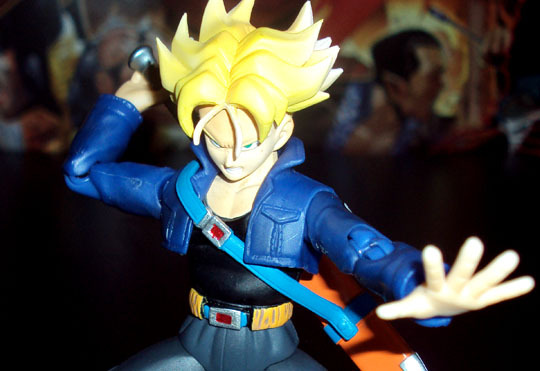 Figuarts Dragon Ball Z Trunks Action figure. It’ll pop up on my Youtube Channel Page first then back here later on. Here’s a teaser photo.